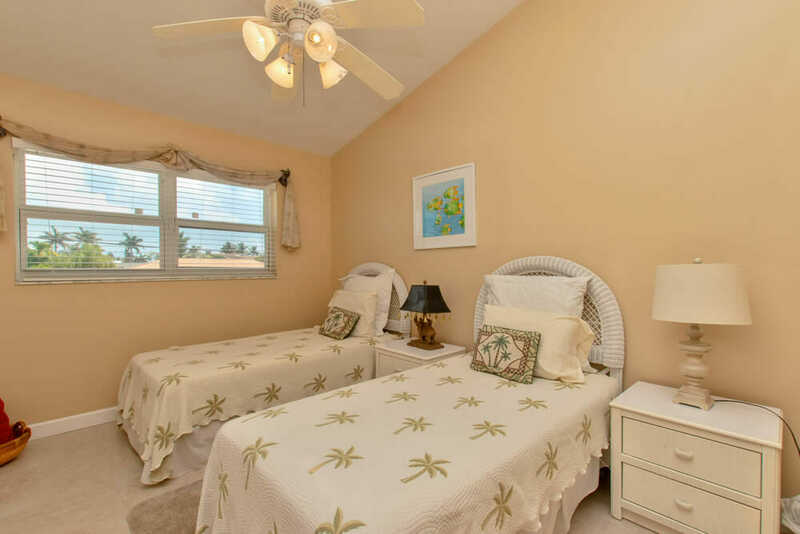 The Palm Villa features 7 bedrooms and 4 bathrooms. 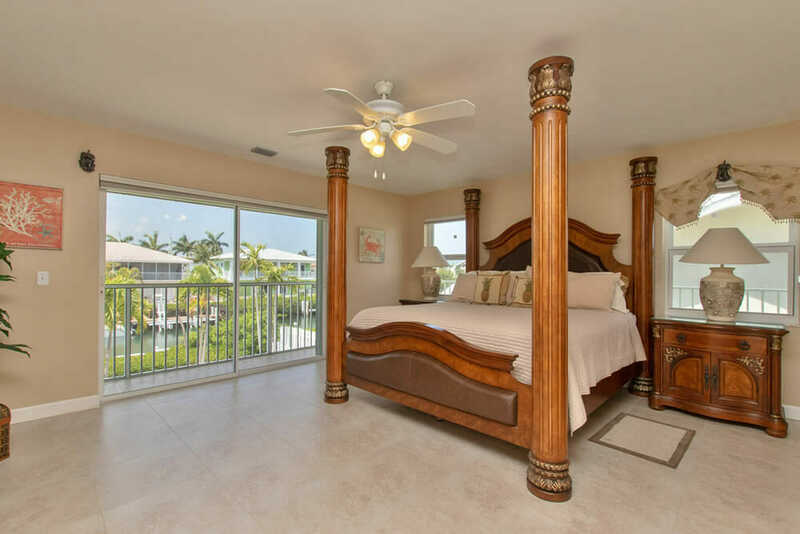 With all of the fun and exciting things to do in the Florida Keys you are going to need a good nights rest! The Palm Villa features 7 bedrooms and 10 beds. 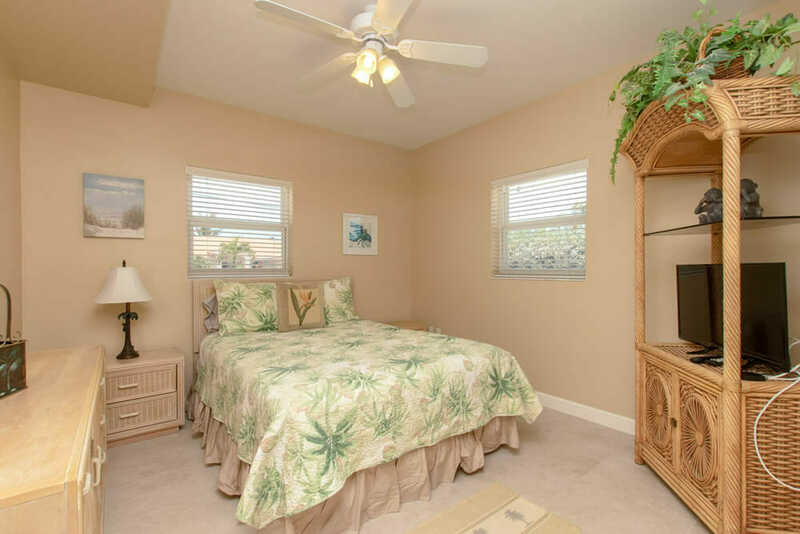 Three bedrooms are located upstairs, with two bathrooms. 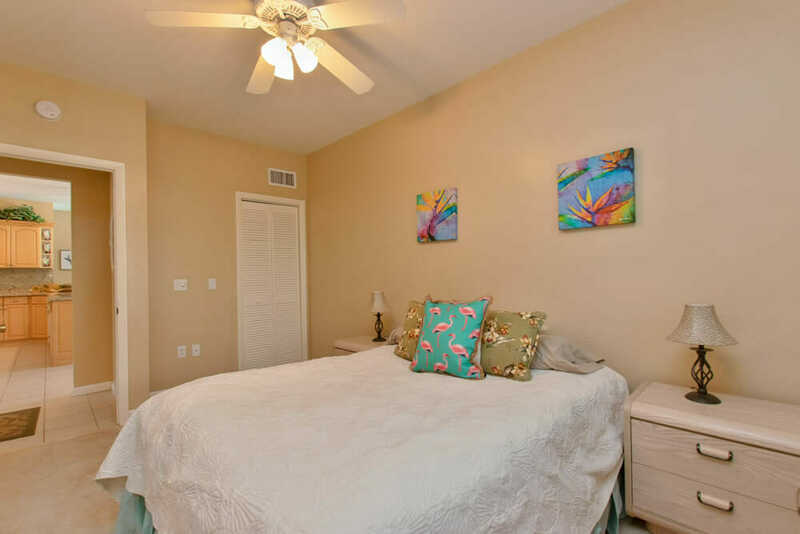 1 King master bedroom, 1 Queen bedroom, and 1-bedroom with double twin beds. The downstairs four bedrooms are 1 Queen with private bathroom, 1 Queen bedroom, 1-bedroom with two Twins, and 1-with two Queens. 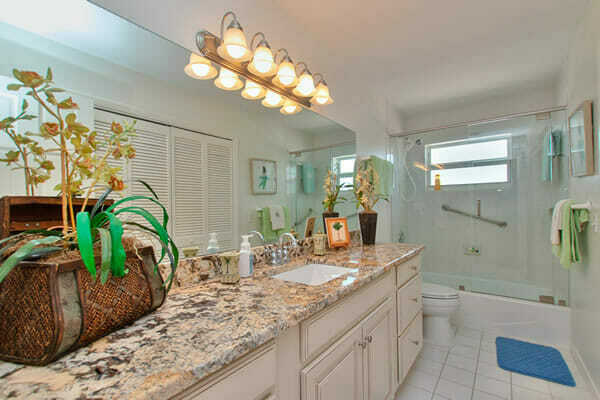 The 2 shared bathrooms have double sinks as well. Take a virtual tour by clicking the button below to see them all. Although the Palm Villa can house multiple families the Key Colony Beach allows up to 10 residents to reside in the household at one time. You can check the regulation clicking in the bottom below. 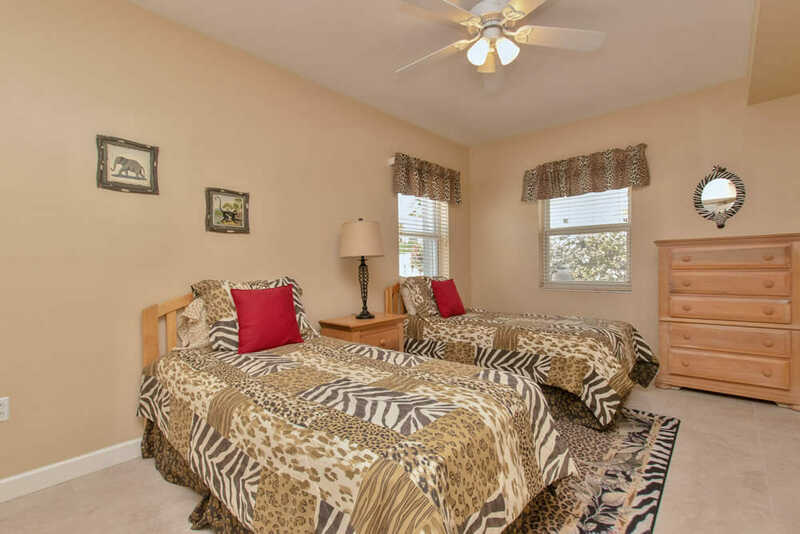 Three of the seven bedrooms are located upstairs, one king master, one queen, and one bedroom with double twin beds. There is two bathrooms located upstairs. 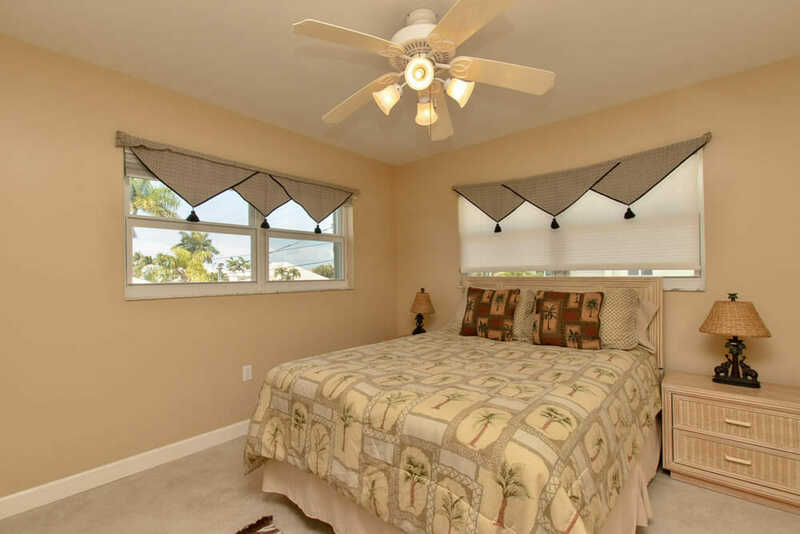 Four bedrooms are located downstairs with two bathrooms. The bedrooms are 1-queen with private bathroom, 1-queen, 1-bedroom with two twins, and 1-with 2 queens. 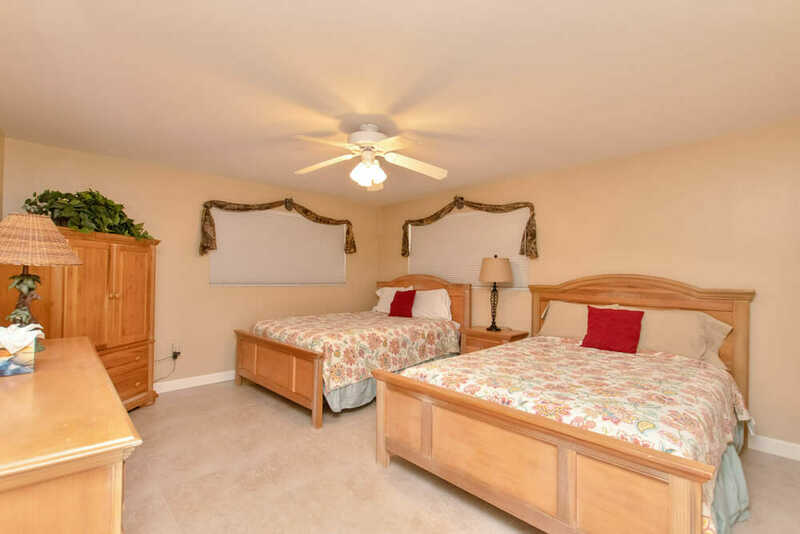 With 7 bedrooms and 4 bathrooms we can easily accommodate all your family without fights for the shower!